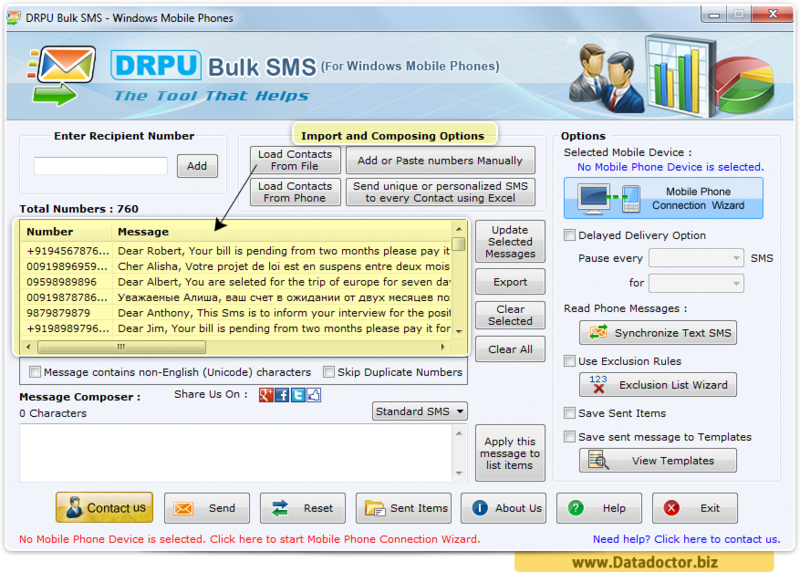 SMS messaging software enables you to create and send unlimited number of text messages to multiple users from your Personal computer using Windows based Pocket PC or PDA Mobile Phone Device to other cell phones in one click. 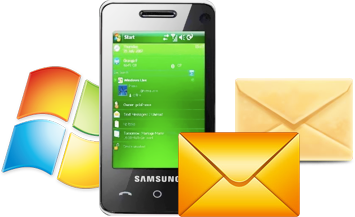 SMS alert sending application allows you to create and send PC mobile SMS in bulk to your customers via mobile phone connected to by Microsoft ActiveSync and Windows Mobile Device Center to all national or International Mobile Networks. 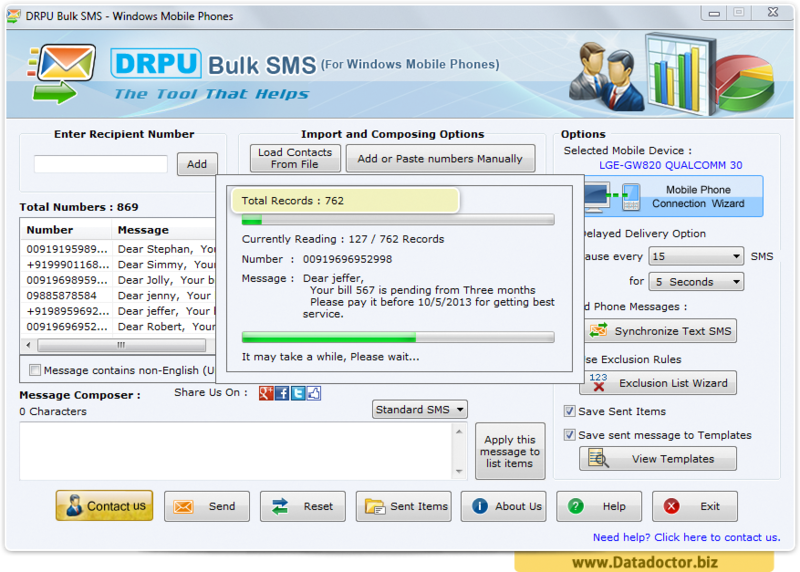 Simple PC based application solution creates and sends hundred of SMS from PC without requiring any internet connection to your GSM or CDMA based mobile phone. Software is easy for business people, office colleagues, clubs and social organizations, friends and family relatives to stay in touch with each other. Click here to see the description of available License types. Currently no mobile device is selected. Please click on Mobile Phone connection wizard button to connect your device to PC. 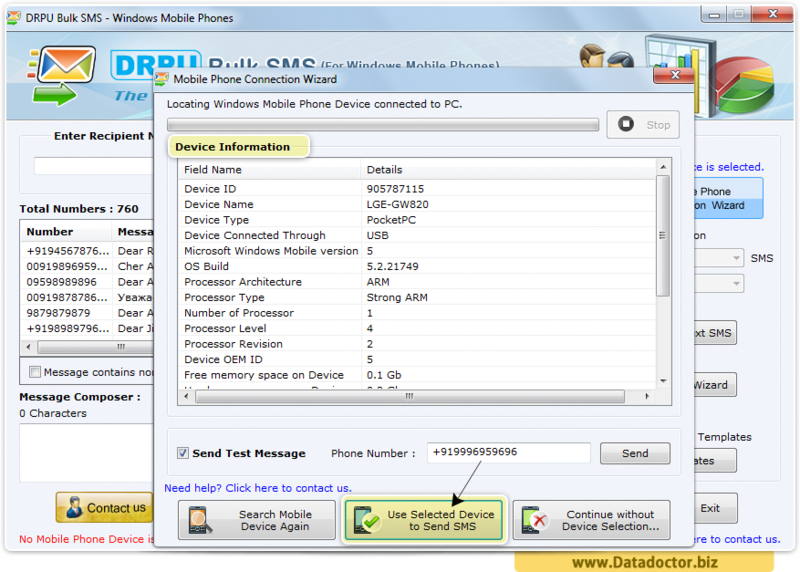 Successfully establish windows mobile phone connection wizard to send text messages. 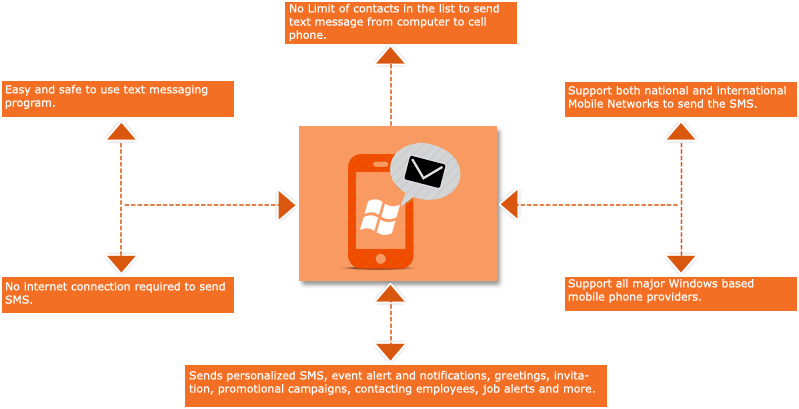 Above screenshot shows message sending process. 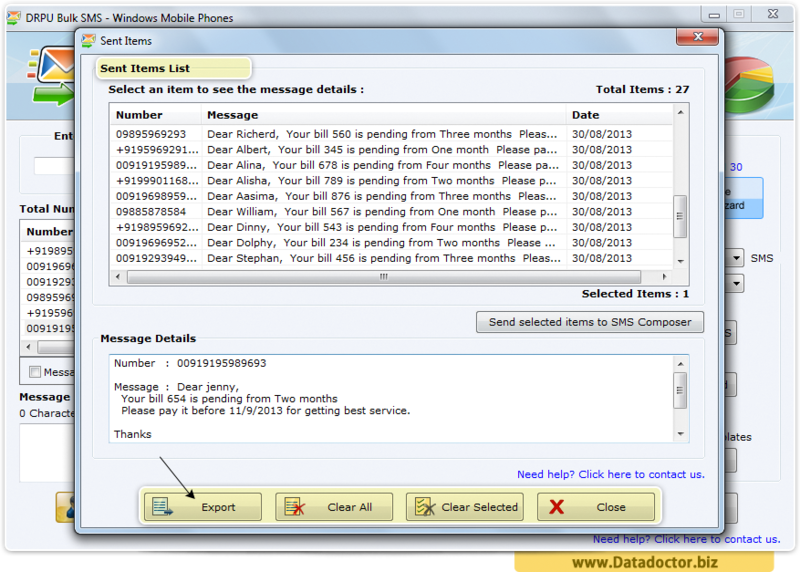 After successfully sent bulk messages, you can see all sent item with full details.